Ron DeSantis proudly served our nation as a member of the US Navy and as an advisor for a US Navy Seal commander in Iraq. 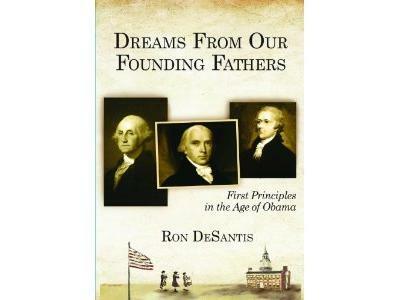 Last September Ron released Dreams From Our Founding Fathers: First Principles in the Age of Obama, a book that outlined our nation's founding and our shift from a constitutional republic. Ron is now shifting his focus and patriotic passion from the battlefield to restoring America and American citizens in Congress. He is running in the newly created Congressional District in Northern Florida and you'll be able to here his platform firsthand.